Autumn is on its way, but it’s never too late to enjoy the last few gin and tonics of summer; the perfect refreshing drink for a sunny day. 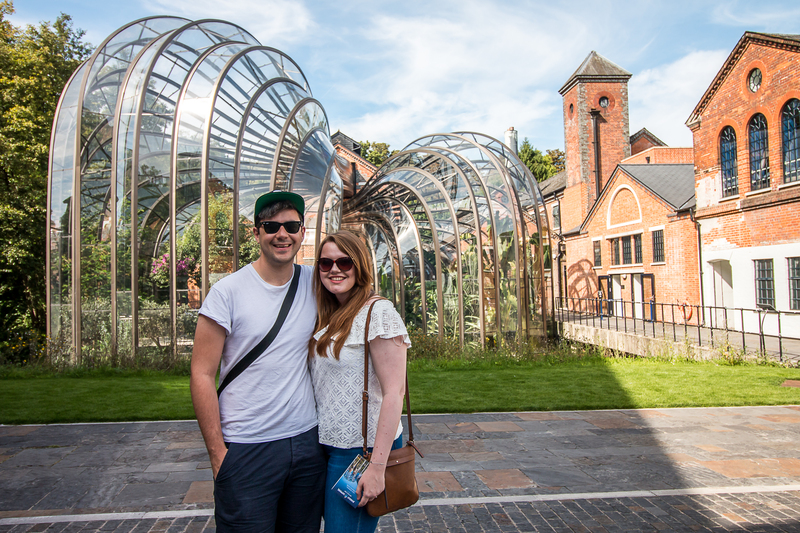 Last month we took a long-awaited trip to the Bombay Sapphire Gin Distillery. 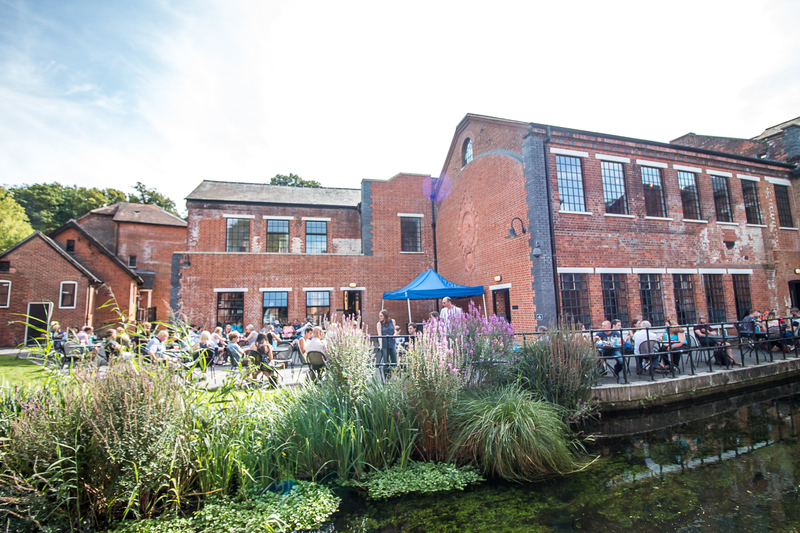 Based in the rural North Hampshire setting of Laverstoke Mill, just 15 miles from Winchester, the distillery sits within a conservation area, which spans 1000 years of history. 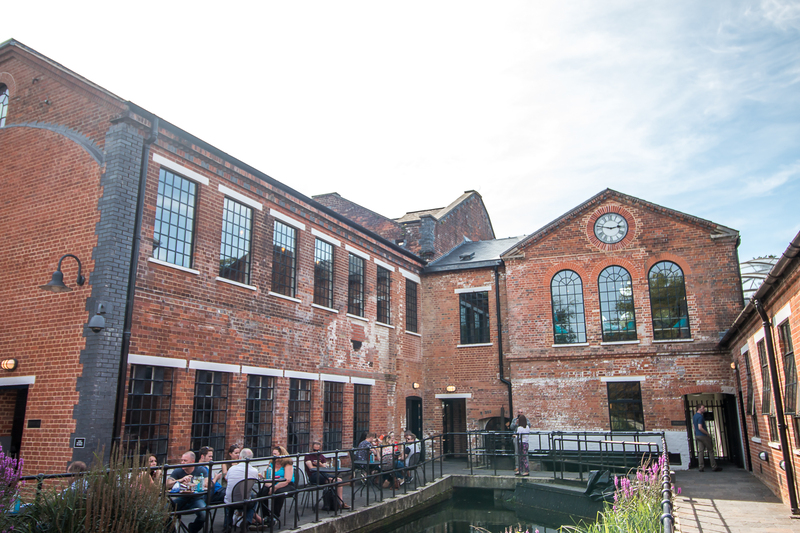 The Victorian and Georgian red brick buildings now for the distillery, with water wheel over the River Test, transport you back in time as you begin your tour. 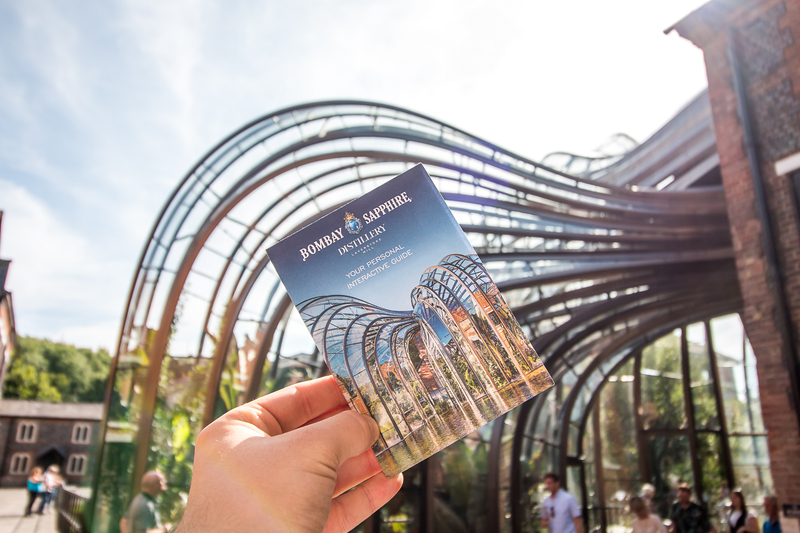 Free to wander and roam, you are presented with an interactive map, showing you the locations of audio points where you can hear recordings detailing the history, distilling process and ingredients of Bombay Sapphire Gin. Bombay Sapphire Gin was first launched in 1987, named based on the popularity of the spirit in India during the British Raj. The flavouring of the gin comes from a range of botanicals including almonds, lemon peel, liquorice, juniper berries, orris root, angelica, coriander, cassia, cubeb and grains of paradise. 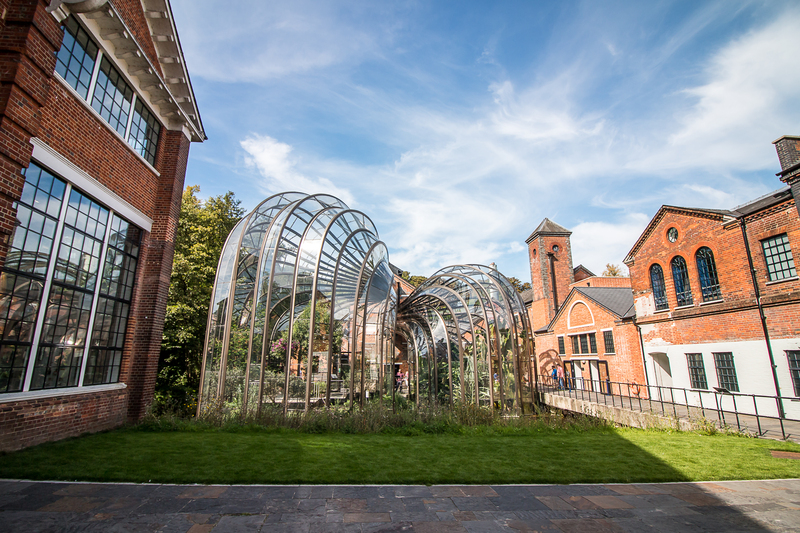 Today the plants used as botanicals to flavour the gin are housed in the two magnificent glasshouses constructed by Thomas Heatherwick. Before entering the sealed Dakin Still House containing the copper distillation tanks, each person is able to learn a bit more about their individual taste palette by smelling 20 jars containing different herbs, spices and plants. A punch card is used to collect your own personal smell, and hence taste, preferences, which are then used to profile which complimentary cocktail would be best suited to your taste buds at the end of the tour. Whilst at the distillery you can also book onto a cocktail masterclass to learn the ropes of making your very own cocktail favourites. 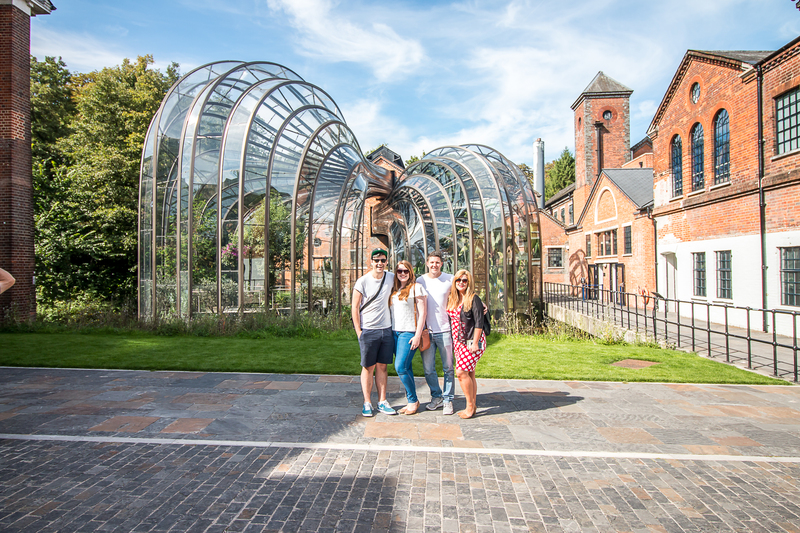 Bombay Sapphire gin distillery is a super fun day out to enjoy with friends – especially if you’re lucky enough to not be the one driving! I love capturing the beautiful things in life from travel snapshots around the globe to the little things that make everyday life sweet. Come on an adventure with me!